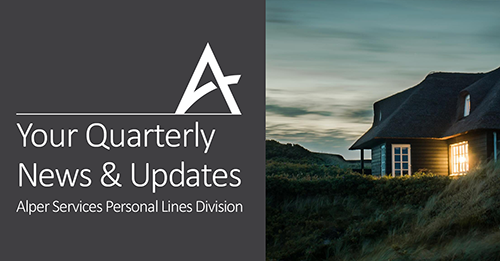 Our Personal Lines Team has compiled a round-up of the articles they think you may benefit from as we head into Spring. Check it out here. Have a question about your personal insurance policies or anything you’ve read in our newsletter? Contact Michael Jones at MJones@AlperServices.com or 312-867-7314.